Phoebe is just your typical goth girl with a crush. He's strong and silent...and dead. All over the country, a strange phenomenon is occurring. Some teenagers who die aren't staying dead. They are coming back to life, but they are no longer the same. Termed "living impaired" or "differently biotic," they are doing their best to blend into society again. But the kids at Oakvale High don't want to take classes or eat in the cafeteria next to someone who isn't breathing. And there are no laws to protect the differently biotic from the people who want them to disappear - for good. With her pale skin and goth wardrobe, Phoebe Kendall has never run with the popular crowd. 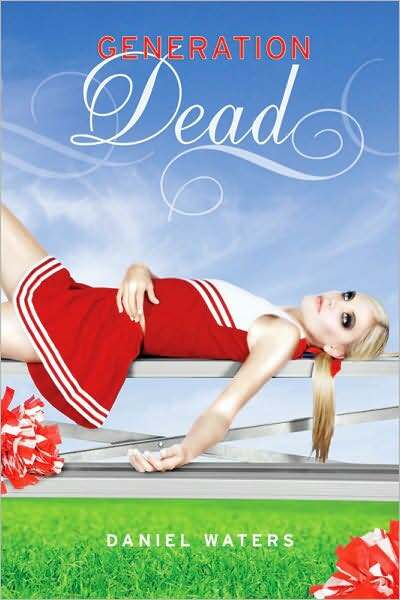 But no one can believe it when she falls for Tommy Williams, the leader of the dead kids: not her best friend, Margi, and especially not her neighbor Adam, the star of the football team. Adam has realized that his feelings for Phoebe run much deeper than just friendship. He would to anything for her - but what if protecting Tommy is the one thing that would make her happy? Phoebe doesn't dress like a goth girl to get attention or for social irony. No, that's just who she is. She already has the pale skin, anyway! She also has a very accepting attitude toward the dead kids. It's not like they did anything wrong - they just died. She doesn't understand why people can't just get over their prejudice and leave the poor kids alone. 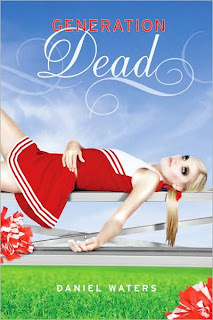 Phoebe starts talking to Tommy, one of the dead kids, after he tries out for the football team and earns his place by taking hit after hit after hit. Phoebe and Tommy begin to hang out after that, though not neither side is entirely supportive of their budding relationship. As Phoebe and her [living] friends, Adam and Margi, get to know Tommy and the other dead kids, they learn that the living and the dead are not so different from each other. I had a hard time writing this review, as it's very difficult to put into words how much I loved this book. I went in expecting to sort-of like it, if anything. My track record with male authors in the zombie genre is not very good. (Mark Henry, anyone?) But before the first chapter was over, I was hooked. These dead kids are such sympathetic characters, even the bitter ones, that I just wanted to reach into the book and give them a hug. Phoebe, though a bit naive for not understanding the bigotry facing her and Tommy and especially for not seeing that Adam has feelings for her, is a very sweet girl. She sees the best in everyone - a quality that seems to have gone out the window in the current age. Generation Dead's message is one of tolerance, though not overbearingly so. What is interesting about the way Waters went about writing this book, though, is that it points out how easy it is to do horrible things, even kill someone, while still following the letter of the law - and since no law has been broken, it's impossible to prosecute the wrongdoer. It's very reminiscent of the many, many civil rights battles over rights for women and those of the non-majority ethnicity or religion that have been fought over the years. It was very well done, because as much as this was a consideration, the story was still about Phoebe, Tommy, Adam, and Margi. The ability to teach a lesson while still entertaining is something that PSAs and after-school specials never mastered, yet Waters manages effortlessly. This was an excellent book, and I can't wait to track down book two to find out what happens after this cliffhanger of an ending! The next two books in the Generation Dead series, Kiss of Life and Passing Strange, are already out. There is also a related short story in the Kiss Me Deadly anthology.